Think back to the education you’ve received, are you appreciative? It is easy to overlook it as we’re out achieving our aspirations. Well, there are those that see the potential in Education and to them – there is no greater joy than that of an educated world. 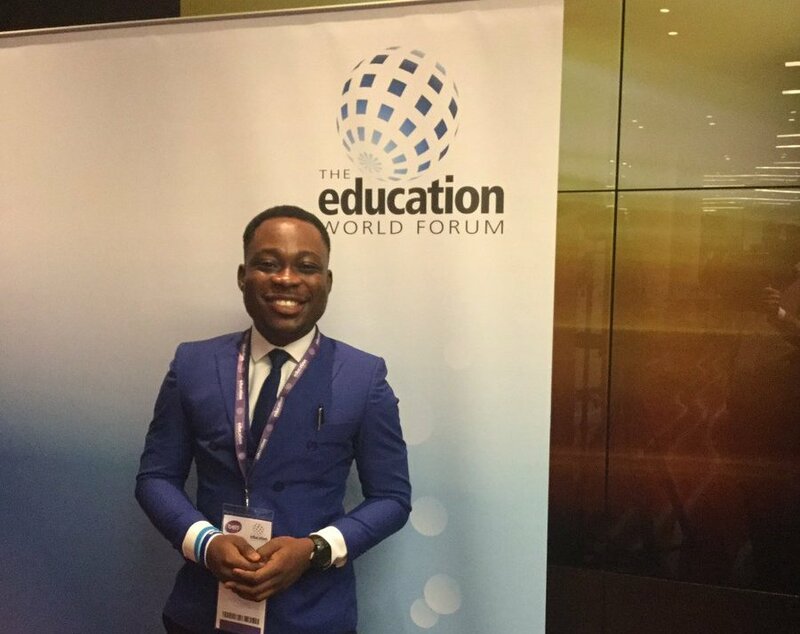 Prince Gideon Olanrewaju is among those brilliant individuals that have made Education the frontier of their efforts. Prince Gideon describes his childhood as typical for those born in rural Nigeria. He says the economic security was poor and with that came the plethora of problems. Attaining any education was a task, let alone the idea of quality education. While this would be the roadblock for many, he took it in stride and came out the other side stronger. Prince Gideon exclaims he’s had first-hand experience with limited learning opportunities and educational inequalities. It is noteworthy to remember that in places affected by low economic profiles; segmentation and division of resources is a lot more prevalent. Access to education isn’t solely an economic factor anymore, in some places – caste is also a limiting factor. Prince Gideon knew he had to swim against the tide, and he did – with support from family and his teachers. Not to discount his effort, he always maintained that he was a good student which helped him secure scholarships to pursue a full education all through to the university level. Prince Gideon is a Biochemistry graduate from Ladoke Akintola University in Nigeria. A graduate from the pure sciences with a leader and educators motif – Prince Gideon reflected on his journey and put into perspective all those missing out on the quality of life education can provide. With his goals set, he returned to Nigeria and devoted his time to a Non-profit organization he set up, called Aid for Rural Education Access Initiative (AREAi). He is also the Chairperson and Founding Executive Director of the International Youth Coalition for Education. Prince Gideon’s approach to educational reform consists of simple steps executed to perfection; Organization, Collaboration and Outreach. He is responsible for organizing for and mobilizing of material – both physical and financial, that will directly contribute to bettering the quality of education these disadvantaged children receive. His focus is on communal growth as he believes this approach is the most optimal toward a developed Nigeria. He also believes in inclusivity in development and often collaborates with community heads and school administrators to identify and put into effect the necessary action. These exchanges he says have broadened his leadership skills and professional competencies. All tools necessary for a well-rounded leader in the making. AREAi is dedicated to providing technical, educational and infrastructural support for education in Nigeria. Prince Gideon envisions a developed Nigeria, one in which every member of the youth has the ability to steer their future in a direction they wish to. In support of that mission, he has been the voice at international podiums such as the 2018 Education World Forum in London and the 2017 World Youth Forum in Egypt. His presence was also significant at the workshop in Kenya for outstanding Young African Leaders held by UNESCO. In his endeavours, Prince Gideon maintains that Youth power the way forward. While youth are those that benefit most from his effort, he knows their direct involvement in the movement for change is imperative. Through his actions, he hopes that citizens will hold their governments accountable and push toward quality education. 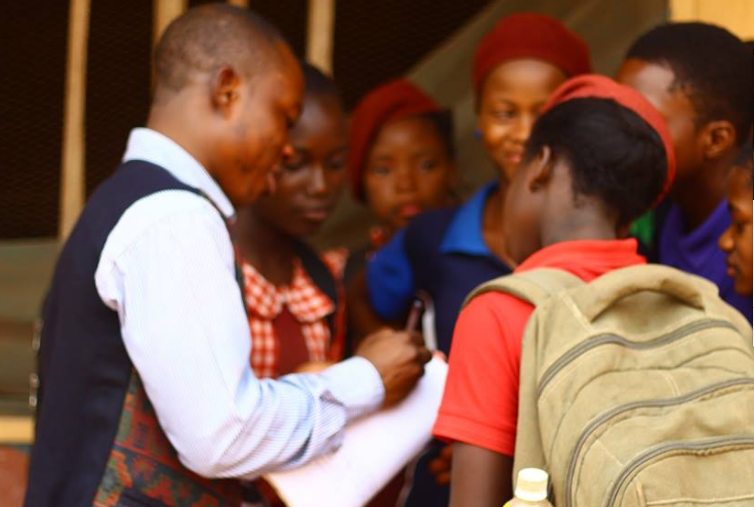 His mission – to see a world where every child, regardless of socio-economic status or geographical location, have access to quality educational opportunities to live to his/her full potential, is a noble effort towards a better tomorrow. You too can contribute your education-related ‘Feel Good’ stories to be featured in our ‘Something Good’ series. Click here to share now.